The new episode of the famous Naruto series is here. What I really love in this chapter is that, Gaara of the Sand Village—the Kazekage had interfere between the battle of the Raikage and Sasuke. He told Sasuke that they had the same eyes, the eyes that seeks revenge. The eyes, so full of fury and hatred. He offered Sasuke a second chance, a chance to become the Sasuke that they knew. But his siblings told him that Sasuke has no way of having a second chance because he is a criminal. But then, Sasuke didn’t even try to ask for forgiveness. Because he still wants revenge. And then, they had seen his darkness. The coldness in his chakra. And they had feel his hatred. 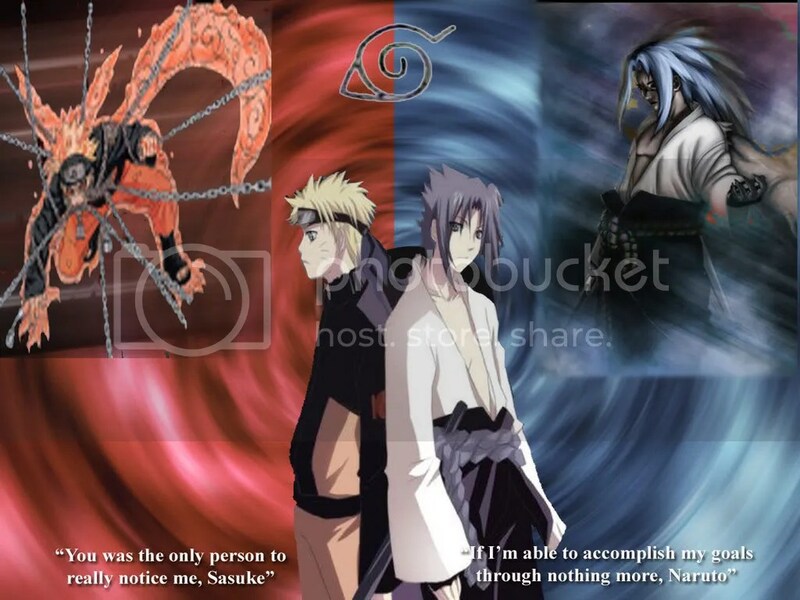 But now, Sasuke has to face 5 or 6 opponents. Each with great number of chakras and technique. Sasuke let them see the third power of the Mangekyu, the Susanoo. They still don’t know the capability of it. But it doesn’t look good. I’m so excited for the next chapter.